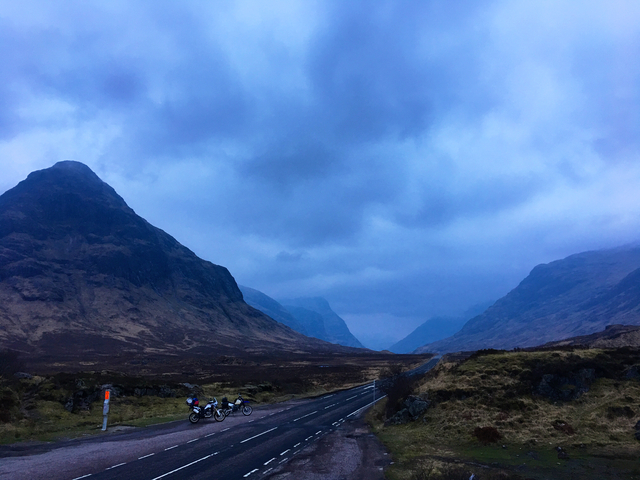 Just a quick write up for an impromptu ride up and around Scotland at the end of February / start of March....yes we need help!!! 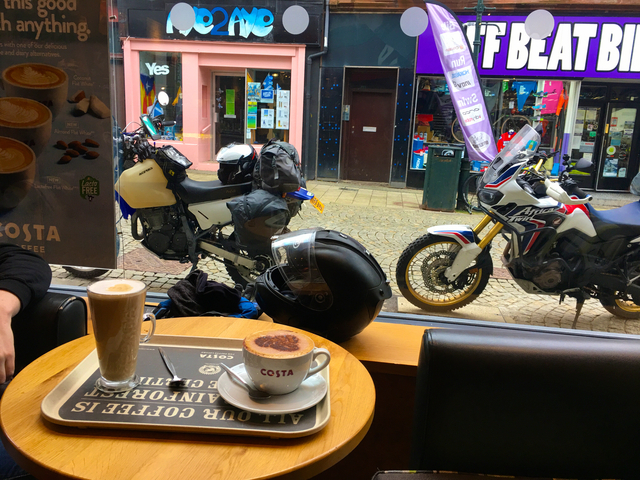 I'd just bought a DR650 with the idea of having a bike that I'd use in the winter and also not be too precious about (like I tend to be with bikes ) and do some off road stuff too. 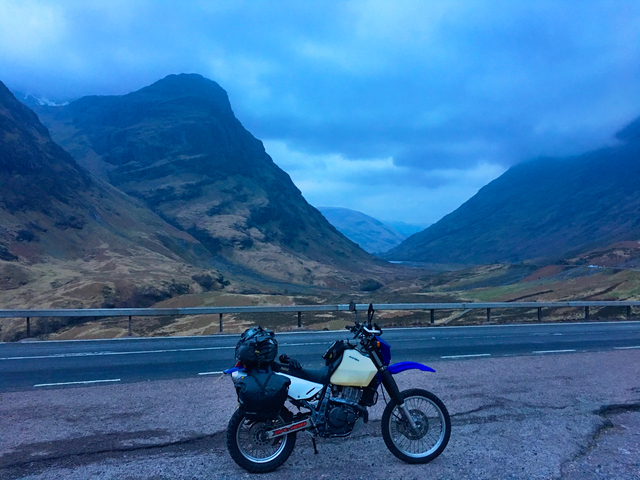 With that in mind a buddy suggested a ride around Scotland, camping when the weather wasn't too bad and taking in some dirt tracks where possible. Like I said...minor prep work! 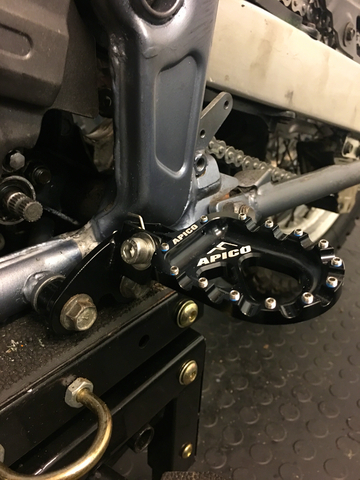 I found the riding position a bit cramped so my buddy who's a fabricator set to work and made some lower and further back footpeg mounts, I fitted some ROX risers and fatbars to move the controls forward a bit. 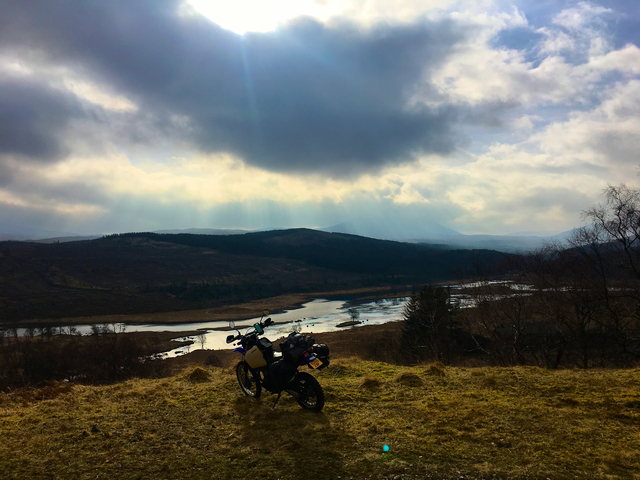 All this made it much nicer to stand up on for off road riding! 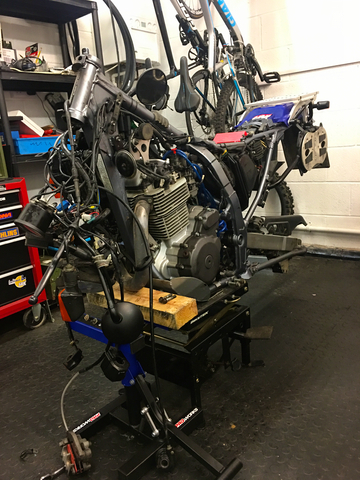 I changed chain and sprockets, greased bearings, cleaned brake calipers, fitted charging cables, new heated grips and Barkbuster hand guards whilst I was at it. 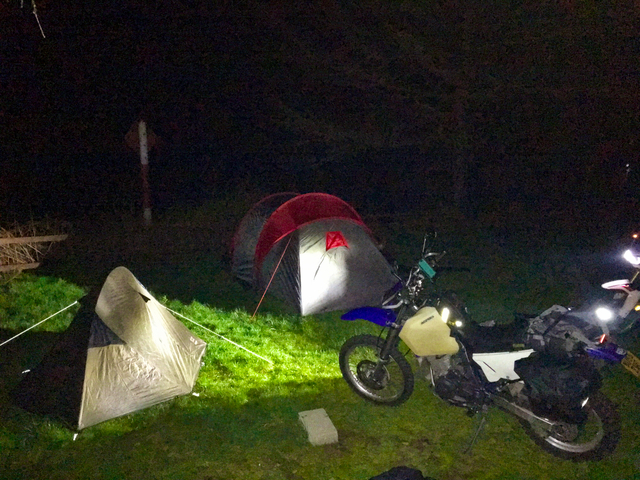 I fitted some soft bags and also an LED headlight conversion that came with the bike which was massively better than the standard dirt bike headlight!! 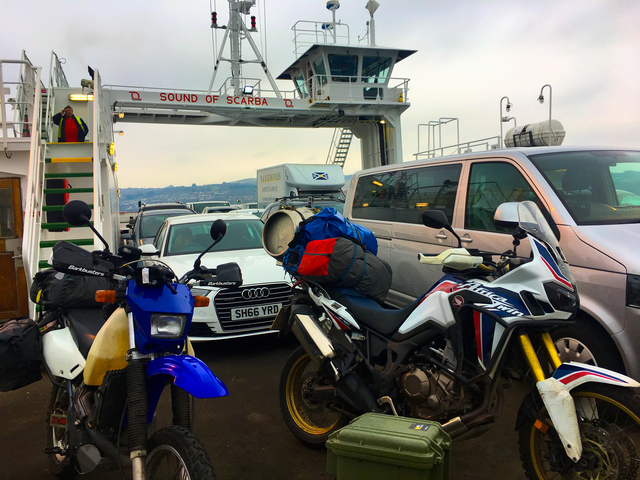 So before I knew it, it was time to set off! 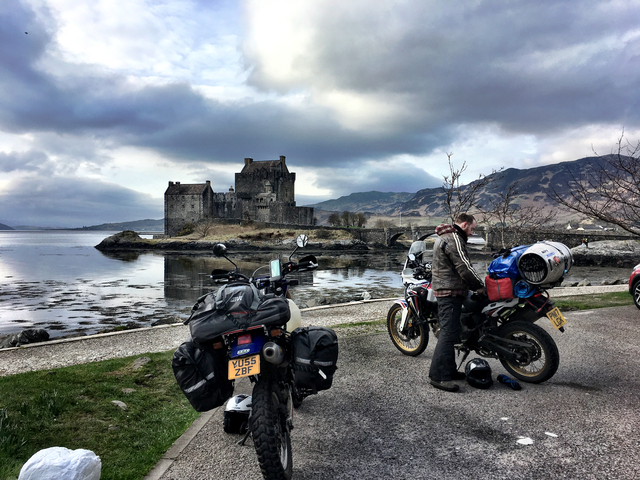 So we got kitted up and headed north towards Fort William which was our first stop. 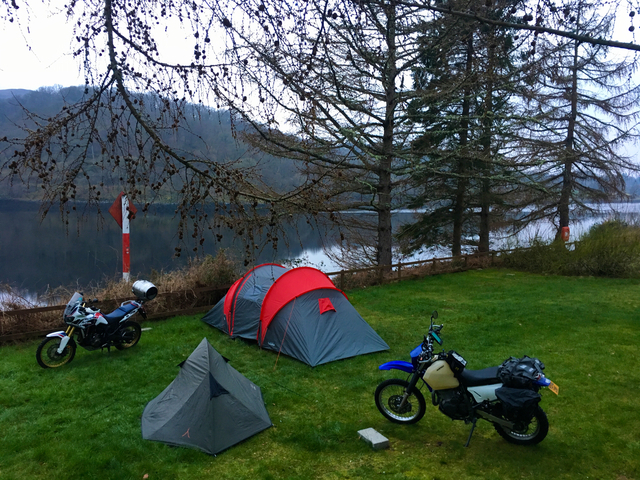 As we were putting the tents up my trusty alpinestars waterproof pants decided to split in an unfortunate area So first on the list the next day was to try and find some suitable gear in a town with no motorcycle shops! 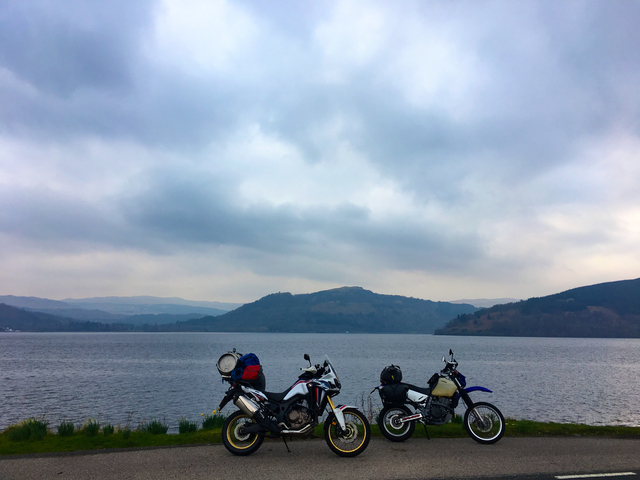 This part of the ride was stunning and we found a dead end road alongside a loch that we decided to explore! We launched the drone for a bit to get some video but I'll not bore you with that as my editing skills aren't up too much!!! 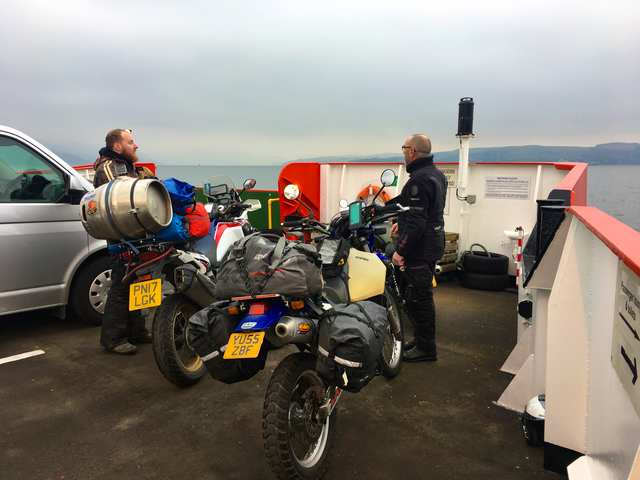 This really is the beauty of travelling during the week and before the weather brings out all the tourists with their caravans etc! 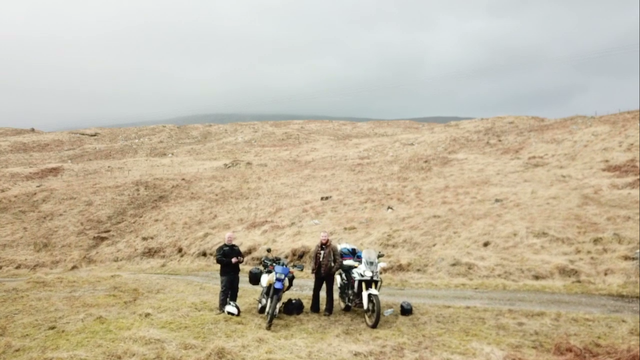 Traffic free roads and the freedom to explore little dirt tracks as you fancy.